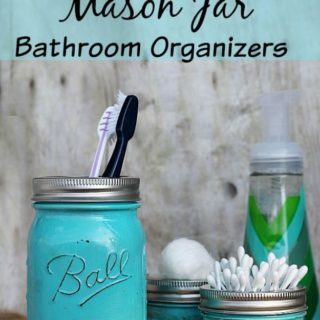 Mason jars are probably one item that most people have an abundant stash off in their home. 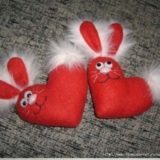 If like me you simply hide yours away in a cupboard for later use, now is the perfect time to get them back out, give them a fresh leash of life and utilise them for a different purpose other than holding loose pens. 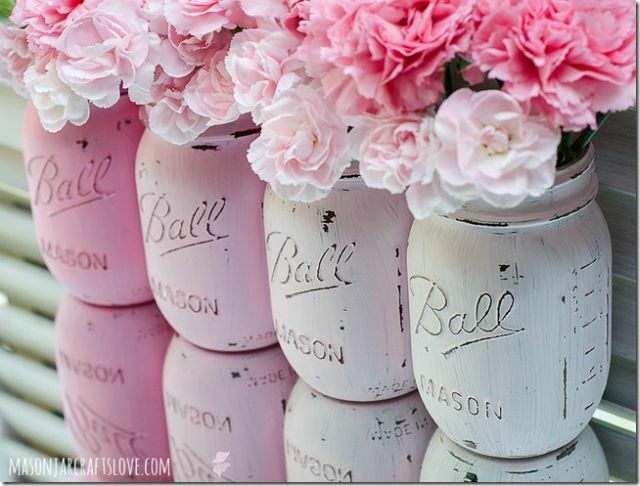 If space is limited, but you still want to have your own planters why not use your mason jars to do the job? 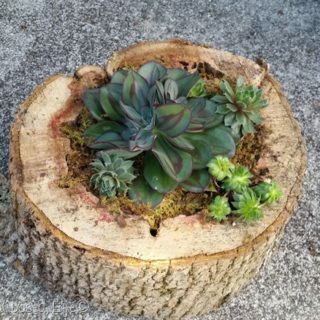 Small and compact they take up minimal space, but are still big enough to add some nature to your home. 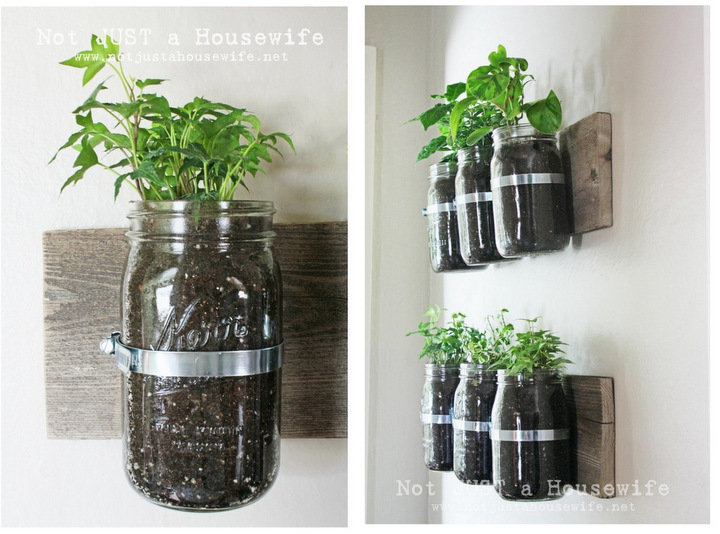 You can find out how to make your gardening containers at Not Just a House Wife. 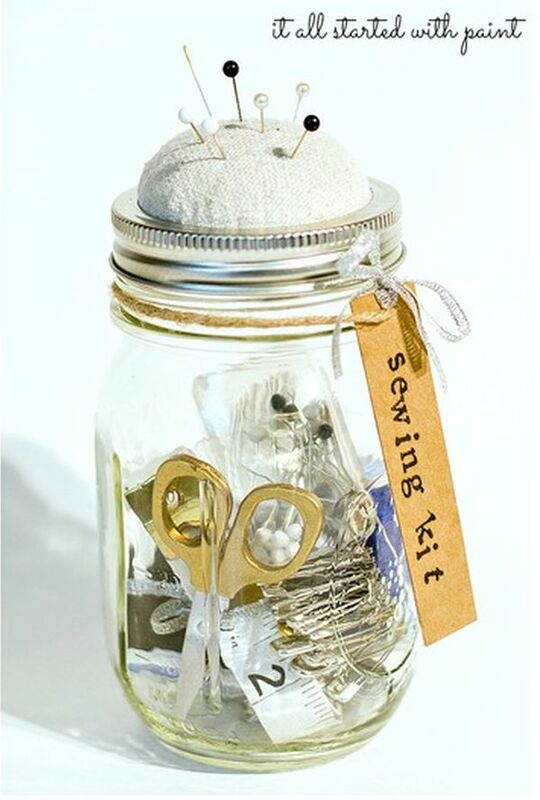 I am forever searching for needles, so for me this is a great idea that I will be trying. 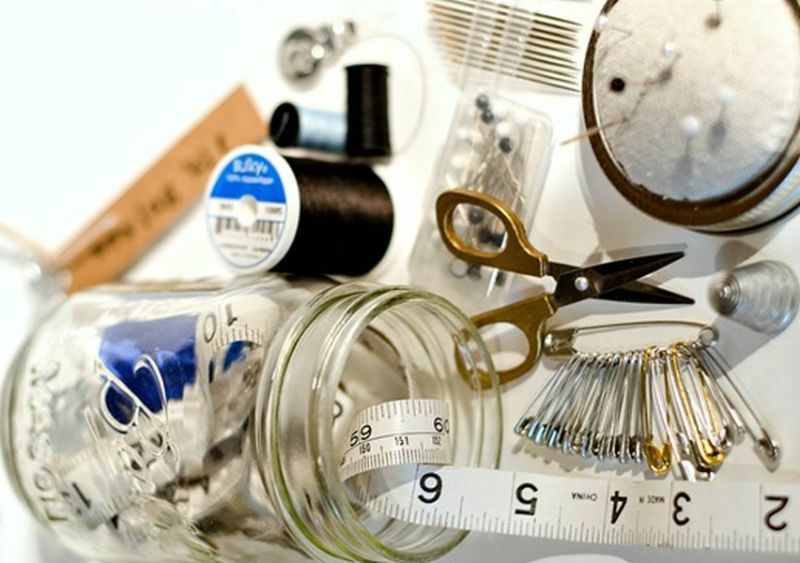 At least that way all my sewing bits will all be in the same place. 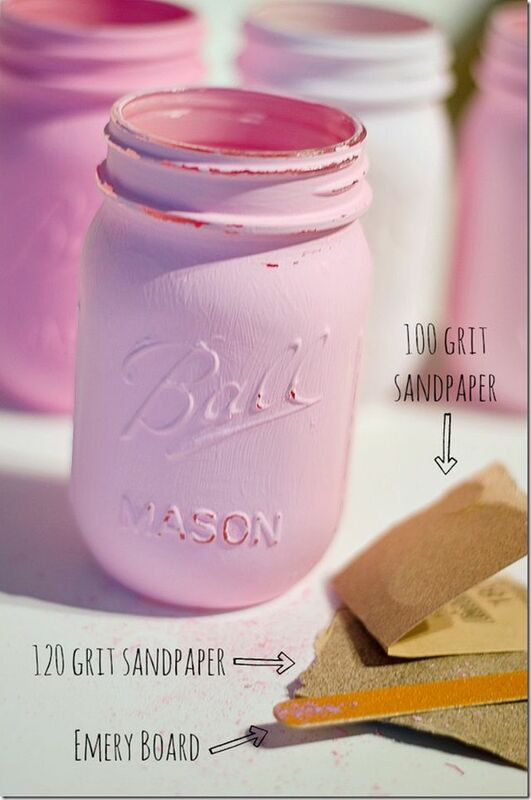 If you’re in the same boat and think this is quite a good way of making use of a mason jar you can find out how to make yours at It Started All with Paint. 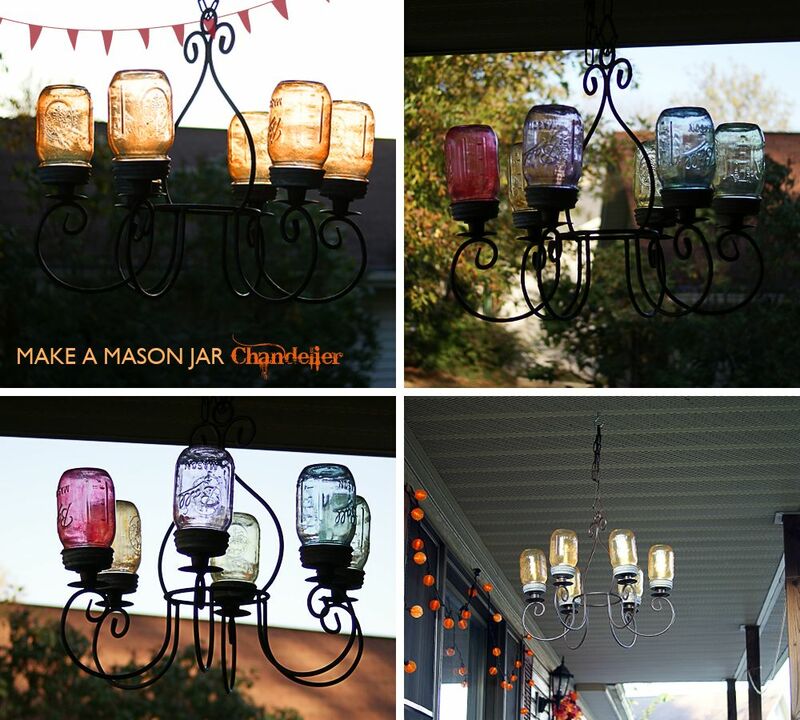 What better way to use up your mason jars then to make a mason jar chandelier with them? 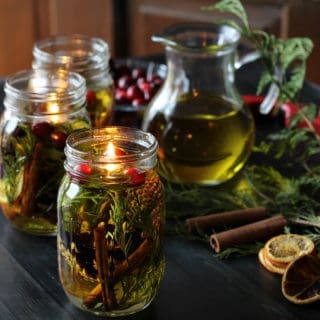 To make your chandelier colourful you can simply paint the jars in the colours of your choice to produce a colourful display, which will be sure to get your guests talking. 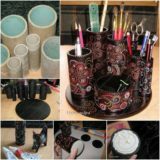 Not only that, but this project is simple and cheap to make too. 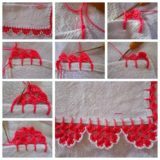 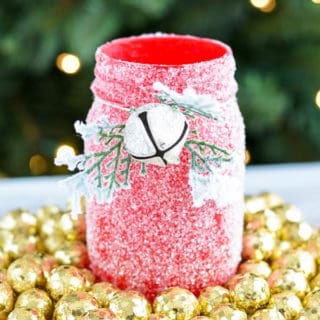 Find out how to make your own at Saved by Love Creations. 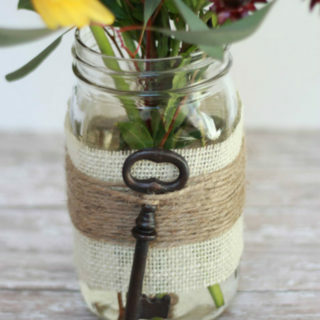 When it comes to making your own vases nothing beats using mason jars for the job of holding your flowers. 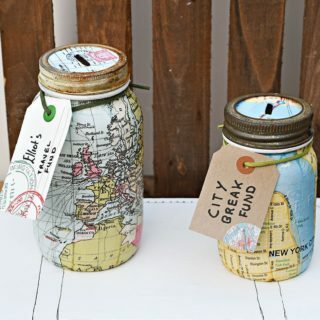 To add a bit of character to your jars you can paint them creating a distressed look to your jars for a more vintage look to them. 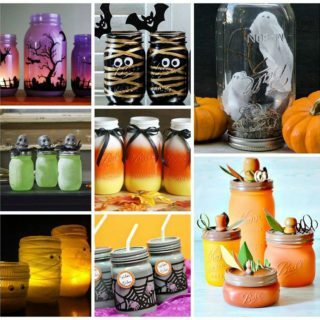 To make your own check out Mason Jar Crafts Love for a step-by-step guide. 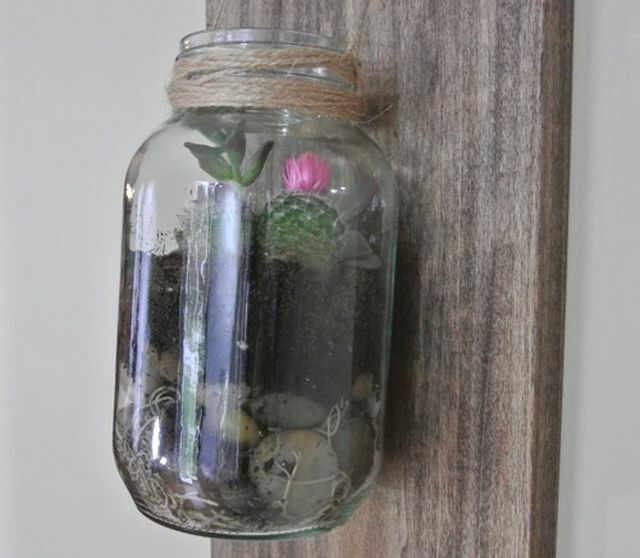 A mason jar terrarium is the ideal solution for those of us who aren’t particularly green fingered. 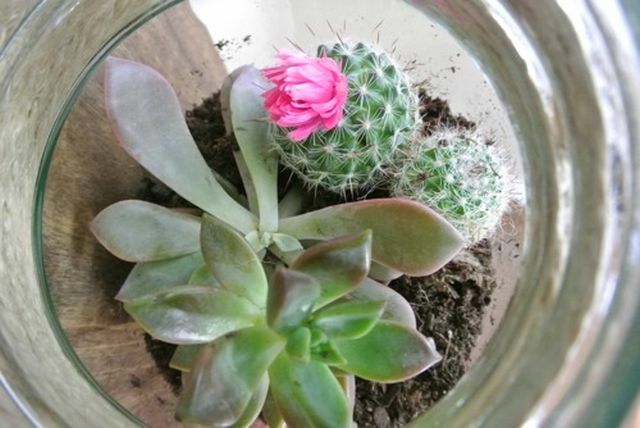 These succulent plants do better if they are left to their own devices with minimal attention needed. 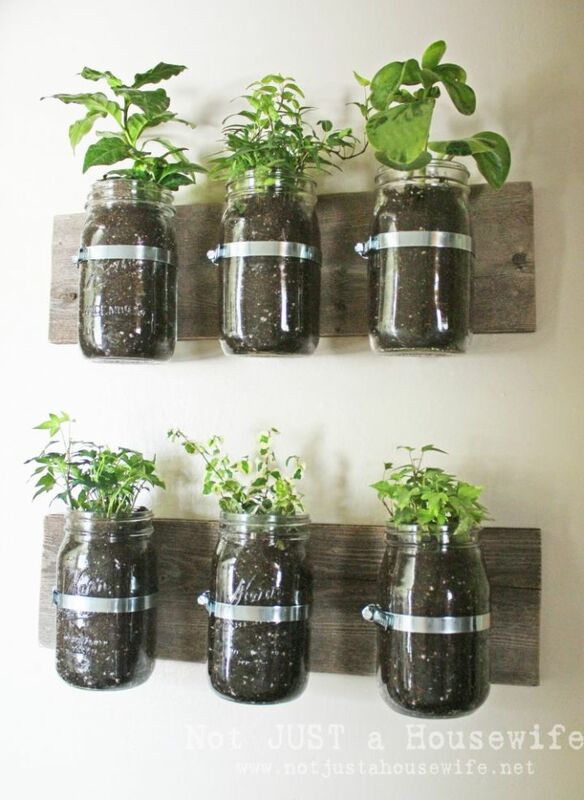 Not only that, but they are the ideal starter to getting kids interested in gardening and looking after plants. 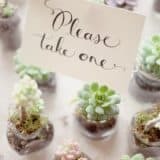 Help them to keep a check on your mason terrarium every so often and make minor adjustments such as dampening and trimming. 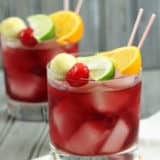 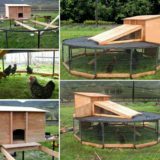 To make your own go to One Project Closer. 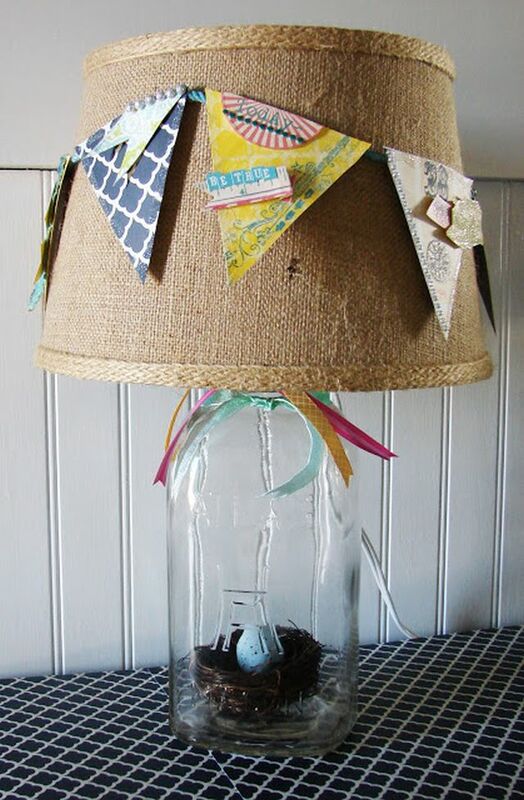 For a unique item in your home a mason jar lampshade will make a striking appearance in your home and will demonstrate your creativity and resourcefulness out of different materials. 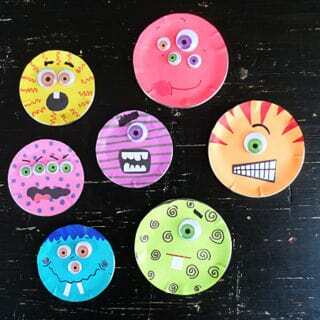 Being creative has never been so much fun and you can rest assured that no one can buy this at a shop. 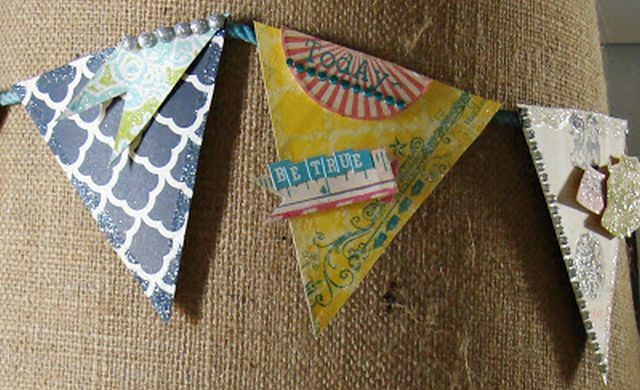 You can also add your own buttons to include more flair to your design. 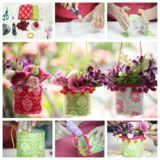 To find out how to make your own mason jar lampshade that is cheap to make simply go to Redberry Barn.